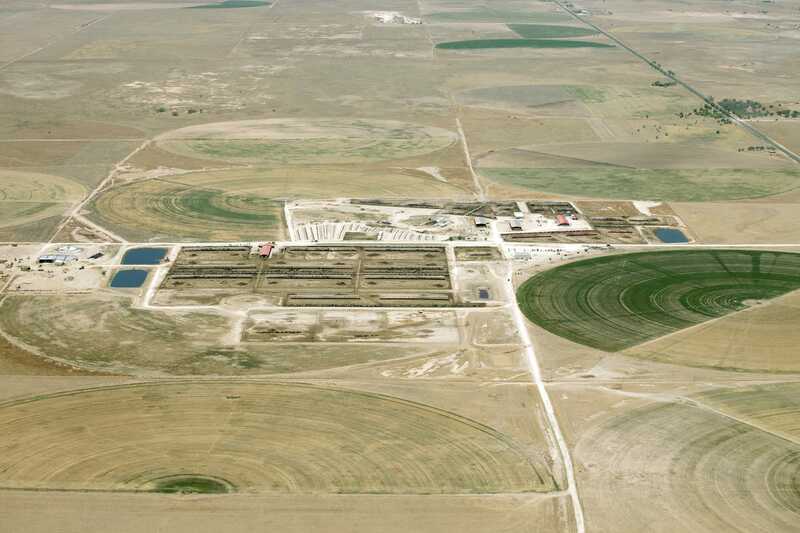 Although there were no cows out when these photographs were taken, there are some partial center pivots that look like they might have been grazed in the past. 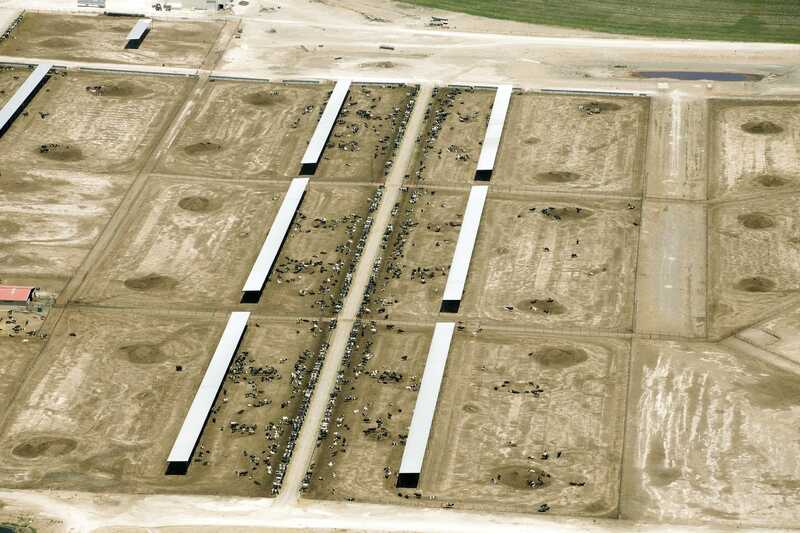 It appears that there is woefully inadequate pasture available to these animals, not remotely meeting the minimum required by the grazing requirements for the number of cows being managed. Much of this irrigated ground would not qualify as pasture, and these photos were taken early in the grazing season. 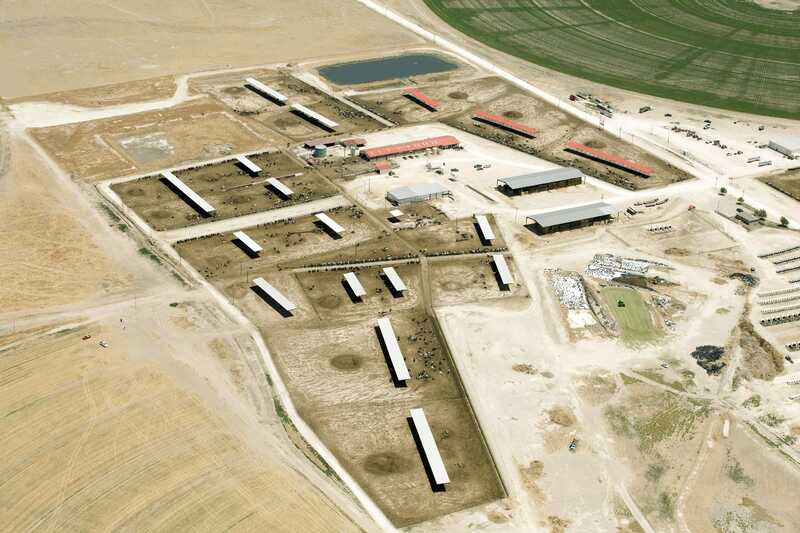 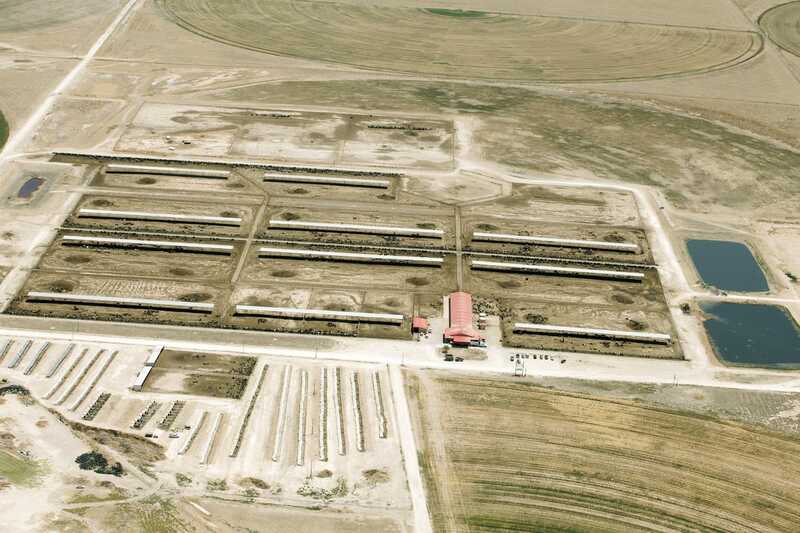 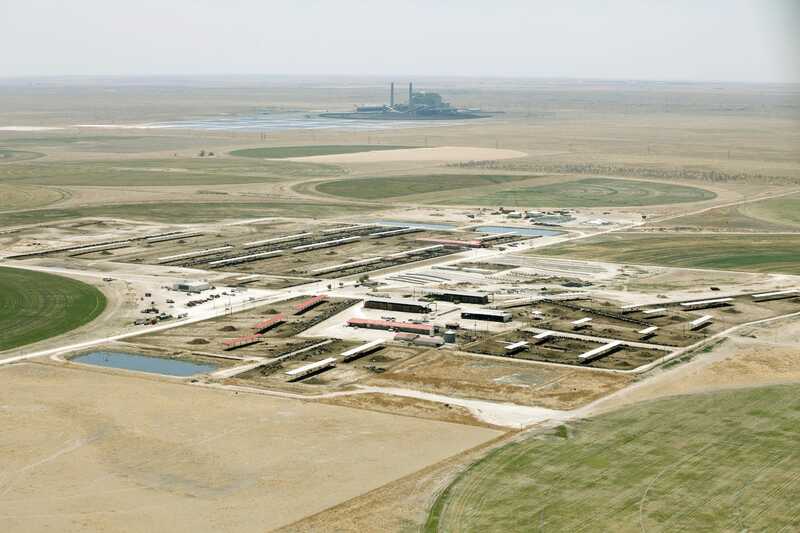 Overview of the main feedlot and milking facility. 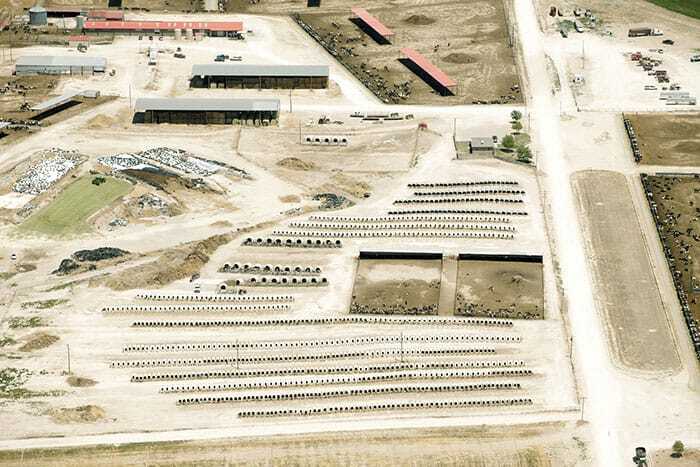 Overview of secondary feedlot area, possibly for dry cows and/or young stock. Overview of dairy facilities in the shadow of large coal burning power plant.